Bookshelf — Wayward Roots & Co.
"So many books, so little time"
Our suggested reads that encourage, challenge, broaden our horizons, and bring a joy that can only be found between the pages. "At the heart of today’s optimistic, farm-to-table food culture is a dark secret: the local food movement has failed to change how we eat. It has also offered a false promise for the future of food. Our concern over factory farms and chemically grown crops might have sparked a social movement, but Chef Dan Barber reveals that even the most enlightened eating of today is ultimately detrimental to the environment and to individual health. And it doesn’t involve truly delicious food. Based on ten years of surveying farming communities around the world, Barber’s The Third Plate offers a radical new way of thinking about food that will heal the land and taste good, too." 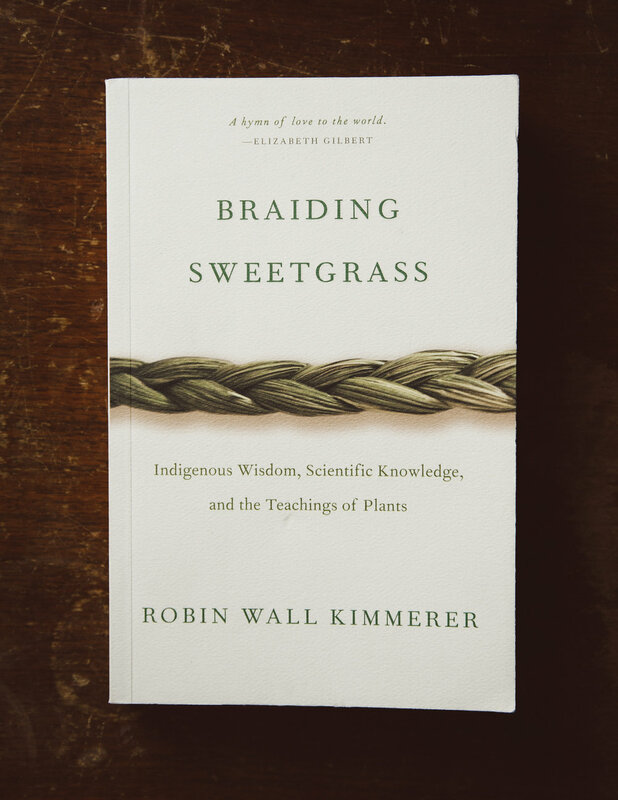 "Drawing on her life as an indigenous scientist, a mother, and a woman, Kimmerer shows how other living beings—asters and goldenrod, strawberries and squash, salamanders, algae, and sweetgrass—offer us gifts and lessons, even if we’ve forgotten how to hear their voices. In a rich braid of reflections that range from the creation of Turtle Island to the forces that threaten its flourishing today, she circles toward a central argument: that the awakening of a wider ecological consciousness requires the acknowledgment and celebration of our reciprocal relationship with the rest of the living world. For only when we can hear the languages of other beings will we be capable of understanding the generosity of the earth, and learn to give our own gifts in return." 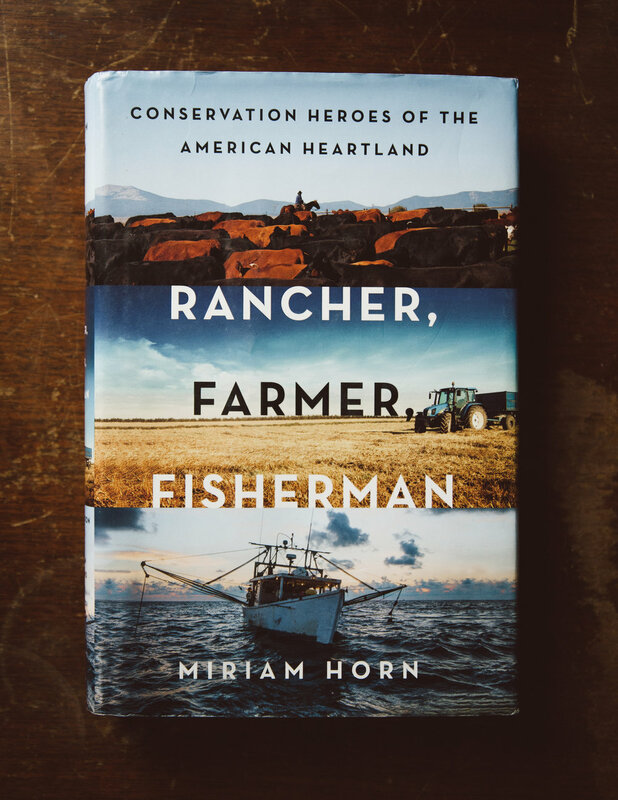 "Unfolding as a journey down the Mississippi River, Rancher, Farmer, Fisherman tells the stories of five representatives of this stewardship movement: a Montana rancher, a Kansas farmer, a Mississippi riverman, a Louisiana shrimper and a Gulf fisherman. In exploring their work, family histories and the essential geographies they protect, Rancher, Farmer, Fishermanchallenges pervasive and powerful myths about American and environmental values." "Are trees social beings? Peter Wohlleben convincingly makes the case that, yes, the forest is a social network. He draws on groundbreaking scientific discoveries to describe how trees are like human families: trees parents live together with their children, communicate with them, support them as they grow, share nutrients, with those who are sick or struggling, and even warn each other of impending dangers. 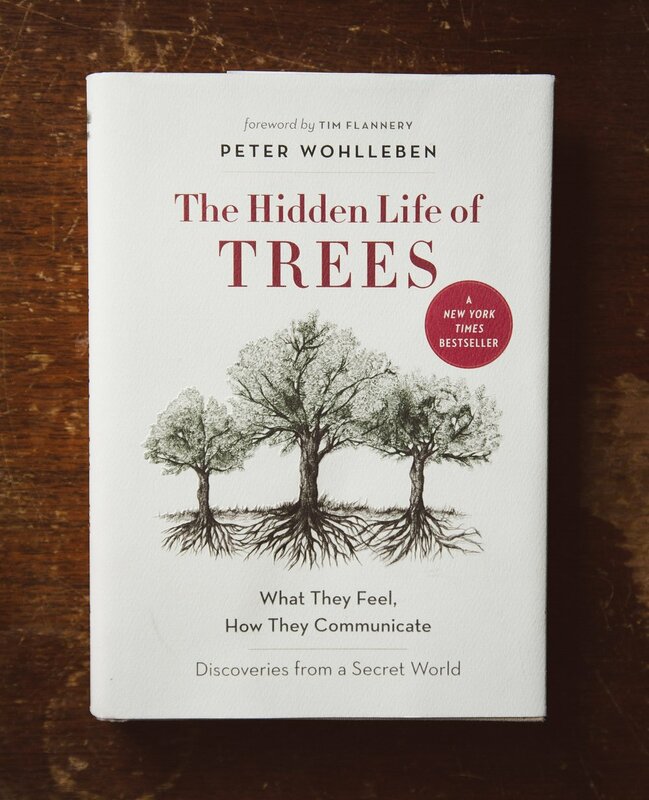 Wohlleben also shares his deep love of the woods and forests, explaining the amazing process of life, death, and regeneration he has observed in his woodland." "Over the past 3 years, Hardwick, Vermont, a typical hardscrabble farming community of 3,000 residents, has jump-started its economy and redefined its self-image through a local, self-sustaining food system unlike anything else in America. Even as the recent financial downturn threatens to cripple small businesses and privately owned farms, a stunning number of food-based businesses have grown in the region-Vermont Soy, Jasper Hill Farm, Pete's Greens, Patchwork Farm & Bakery, Apple Cheek Farm, Claire's Restaurant and Bar, and Bonnieview Farm, to name only a few. The mostly young entrepreneurs have created a network of community support; they meet regularly to share advice, equipment, and business plans, and to loan each other capital. Hardwick is fast becoming a model for other communities to replicate its success. 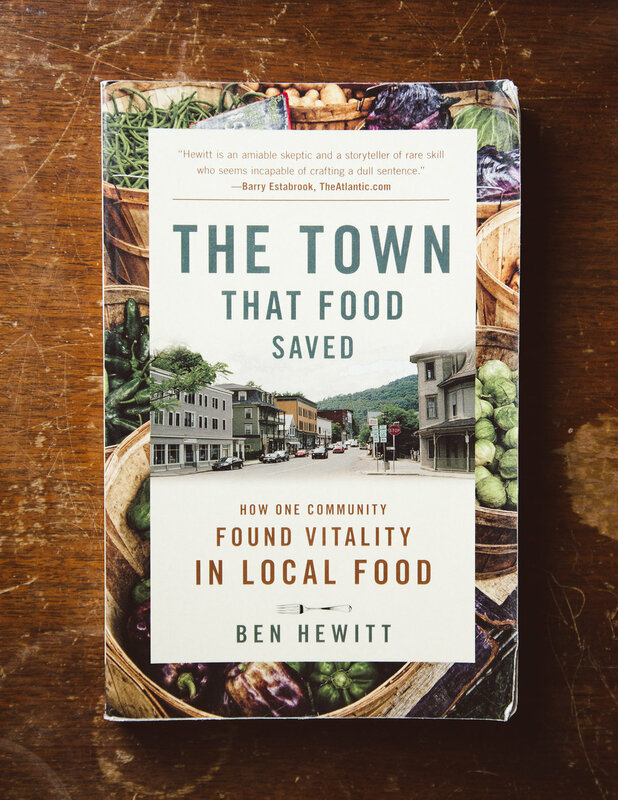 Author Ben Hewitt presents the captivating story of a small town coming back to life, The Town That Food Saved is narrative nonfiction at its best: full of colorful characters and grounded in an idea that will revolutionize the way we eat." "These astonishing portraits of the natural world explore the breathtaking diversity of the unspoiled American landscape—the mountains and the prairies, the deserts and the coastlines. Conjuring up one extraordinary vision after another, Aldo Leopold takes readers with him on the road and through the seasons on a fantastic tour of our priceless natural resources, explaining the destructive effects humankind has had on the land and issuing a bold challenge to protect the world we love." Books have a way of making an impact on our perspective, broadening our horizons, teaching us new ways, or just telling an amazing story that live on with us past the last page. If you have a book that was impactful in how you see and interact with the environment, your community, or your craft we would love to hear about it from you. We are always looking to expand our book shelf and there are so many hidden titles to uncover! Title & Author and why you think we would love this book.